This Xinpusaurus is getting closer to done. It will have to be a late addition to the Art Evolved blog’s gallery for this month. After all, it is a marine reptile, and it is from the Mesozoic. 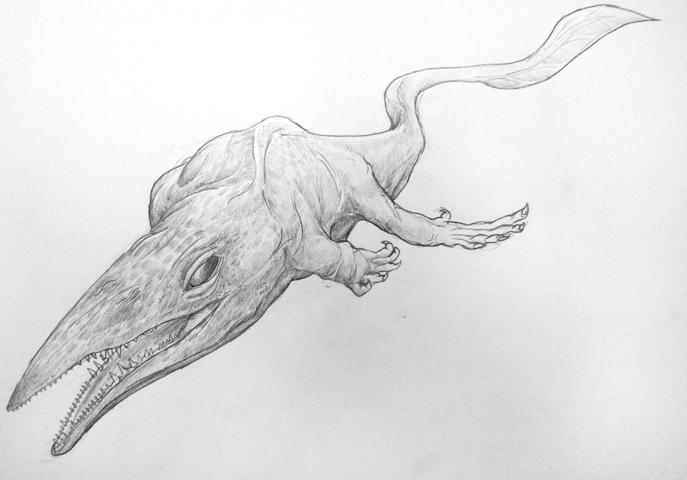 This entry was posted in Quick Desksketch and tagged triassic by Anthony. Bookmark the permalink.